So ladies, read up! We asked help from Barista Box founder and owner Miguel Santiago to school us on the best drink in the world (in our opinion). An espresso is a shot of dark roasted coffee that’s brewed by forcing a small amount of nearly boiling water under pressure through finely ground coffee beans. All you really have to know though is that an espresso is a shot of really strong coffee that you should sip slowly. If an espresso is a shot of concentrated coffee, a ristretto is a shorter shot. “It's generally sweeter and a lot thicker than a normal espresso shot since not as much water passes through,” Miguel says. Crema is the brownish foam that forms on the top of freshly made espresso. An Americano is a style of coffee made by adding water to an espresso until it’s around the same strength of a brewed coffee. Most people choose an Americano over a regular brewed coffee because of the taste of the espresso. Miguel shares that his favorite is a short black, which is basically an Americano with much less water. 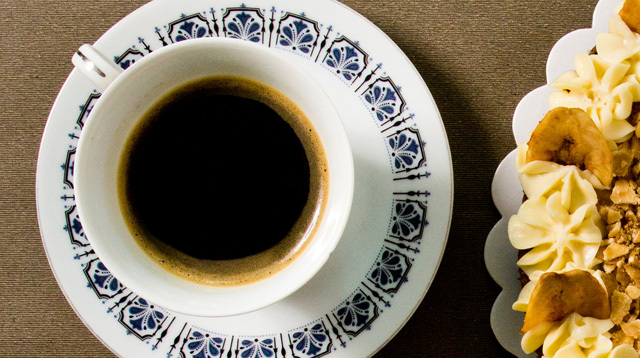 Black coffee, or brewed coffee, is prepared in different ways but results in the same kind of brew, which is thinner, less bitter, and lighter than an espresso. As compared to an espresso that’s made with boiling hot water, brewed coffee uses water at a lower temperature for a longer time. Sometimes you’ll see “single origin” on the menu of a café, and that just means that the beans used to brew the coffee are—you guessed it—from a single origin. Brewers choose single origin coffees because of the specific tastes derived from each area or country. All three have one common component: milk! A cappuccino is an espresso with hot milk and a thick layer of steamed milk froth. A latte is almost the same, except with a thin layer of milk froth, usually just enough for some cute latte art. A flat white has no milk froth. A real macchiato is an espresso shot with around a tablespoon of milk. In Italian, macchiato means “stained” or “spotted” so the literal translation of café macchiato is “stained coffee,” or coffee with a spot of milk. Mocha is a latte with chocolate powder or chocolate syrup mixed with it. A variation of this is a white chocolate mocha, which uses white chocolate instead of milk or dark chocolate. According to Miguel, cold brew is special because of its brewing time. “A batch of cold brew can take anywhere from 4 to 18 hours to make, depending on the method you use. By using cold water, we allow the coffee to release slowly into the water, making it smoother and a lot stronger,” he adds. Don’t mix up cold brew coffee and iced coffee! Iced coffee is coffee that’s brewed using hot water then made cold using ice.